Newswise — ROCHESTER, Minn. — Mayo Clinic researchers have identified five sub-categories of obesity in an effort to determine the most effective, individual treatments. More than two in three adults are considered to be overweight or obese and 17 percent of children are obese in the United States. Obesity is a costly health issue that increases the risk for heart disease, type 2 diabetes, and cancer, among others. The prevalence of obesity continues to rise despite education and efforts around diet, exercise, and drug/surgical therapy. In response, researchers asked how the gastrointestinal system affects obesity. Researchers found that an individual with obesity will eat around 150 calories more than a normal weight individual to feel full. Researchers also found the stomachs of patients with obesity empty faster and are larger. Obese individuals also had a lower level of a hormone that signals fullness than normal weight individuals. 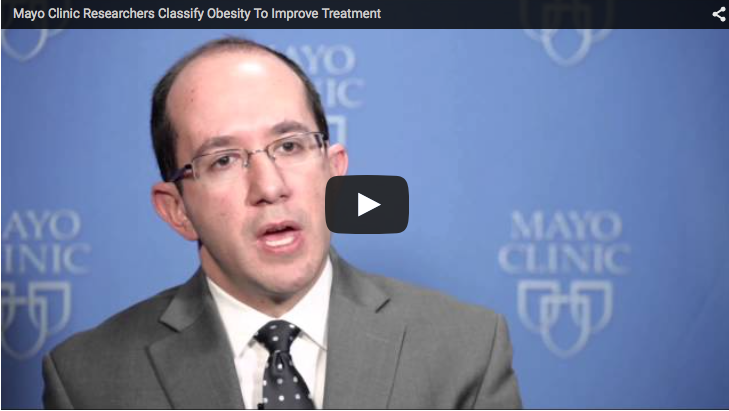 Using obesity sub-classification, physicians will be able to prescribe the most effective treatment. For example, patients with a larger stomach might be good surgical candidates, and patients with behavioral issues may benefit from counseling or anti-anxiety medications. “By using this personalized approach, we can find not only the most effective treatment, but save the patients time and money with less effective treatments,” says Andres Acosta, M.D., Ph.D., a Mayo Clinic gastroenterologist. In this initial study, researchers compared the efficacy of a satiety medication, a medication which helps patients feel full, to a placebo. When this satiety medication is normally prescribed, weight is reduced by 3 pounds per week. Using the sub-classification method, the same satiety medication could be prescribed to patients who had difficulty feeling full. In the study, these patients reduced weight by 6 pounds per week. “The results are impressive and can change the management of obesity; we need to individualize the obesity treatment. It is clear that one-pill does not fit all,” says Dr. Acosta. This research was published recently in Gastroenterology.